During a high-velocity, weeklong trip in June, Diego traveled to Guatemala City with the support of the U.S. State Department's Bureau of Educational and Cultural Affairs, to work with the four Central America-based companies on their branding strategies, and leverage his 18 years of domestic and international experience developing new products and brands. What’s our identity: Family? Company? Brand? His first stop was Doris España, general manager and majority owner of Alimentos Bohemia, a Guatemalan food product company that exports preserved fruits, pickled vegetables and salsa to U.S. and Hispanic companies, including Goya, and sells regionally (under the name Miguel’s) to supermarket chains throughout Guatemala and Central America. Together, Diego and Doris worked through the process of refining the brand strategy. Frequently, family-run businesses that grow over time and generations intertwine the family’s, the company’s and the brand’s identities, when in fact they are separate but collaborative notions. Using his experience working with well-established brands like Cheerios, Clorox and Gallo to illustrate how successful brands grow and change over time to meet modern consumers’ needs, Diego was able to help Doris and her team refine their strategy to reach broader audiences--for example, millennials. Next, Diego met with Fuenteclara Laboratorios, a Salvadoran manufacturer of household and industrial cleaning products with two main brands--Genial and Solex. Diego and Rhina Trigueros, co-founder and general manager, worked on defining the brand’s current vision. As with Alimentos Bohemia, the brand and the company identity were intertwined. Diego helped Rhina and her team refine the product vision to reflect the ideals of the company and the personality of the brand. This included determining what investments may be needed to adjust the products’ ingredients to better align with the company’s vision for natural cleaners, while still keeping the elements their customers’ prefer, such as the cleaner’s sunny yellow color. Diego also worked with Karina Koper, owner of MyLife and MyYogurt, and Axel Barrios, her team’s lead designer. Through many spirited conversations, they explored Karina’s vision for the brand and how it might resonate with more people in the future. 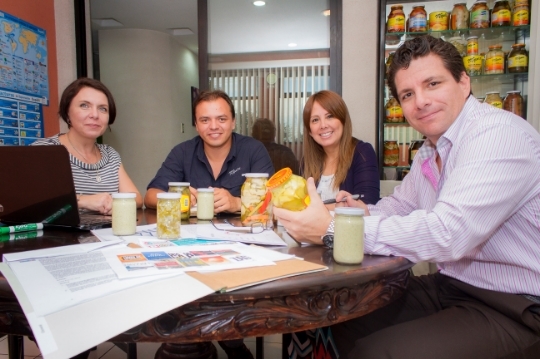 Finally, Diego met with Luisa Barrientos who, along with her husband, owns Alimentos Campestres, a producer and exporter of dehydrated foods mostly packaged and sold as traditional beverages in Mexico and Central America. 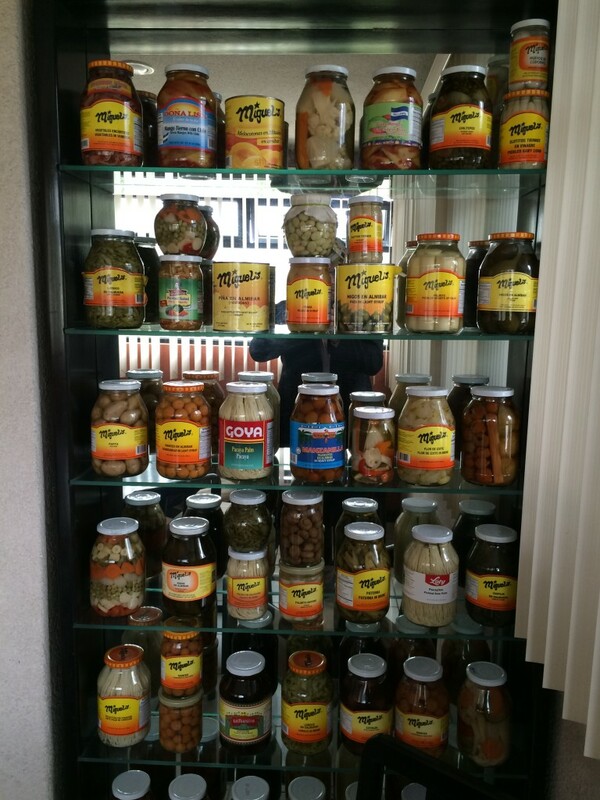 Their work revolved around maximizing utilization of the company’s state-of-the-art facility outside Guatemala City, which is heavily used in the fall, building inventory and shipments for the holiday season. What led Diego to helping multiple business owners grow their companies in such a whirlwind period of time? Since 2008, he has been a member of GLG, the world’s leading platform for professional learning and expertise. 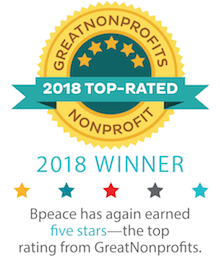 Diego’s first search for a project brought him to Bpeace’s programs connecting business experts to entrepreneurs in conflict affected nations. Not only could he leverage his experience, he could also give back--an aspect that was very important to him, as he is originally from Quito, Ecuador, and considers himself blessed to have worked with General Mills, Nestle, Clorox and now E. & J. Gallo. As a Traveling Mentor, Diego was able to share his branding experience with four Fast Runner entrepreneurs and their teams and, in return, learn more about the nuances of working in Central America. He went into the project with one objective: to leave Guatemala feeling like he helped the companies and the people with whom he worked. And he says the Bpeace experience definitely helped him achieve that goal.